$49.95 set-up fee. Includes 500 e-mails. 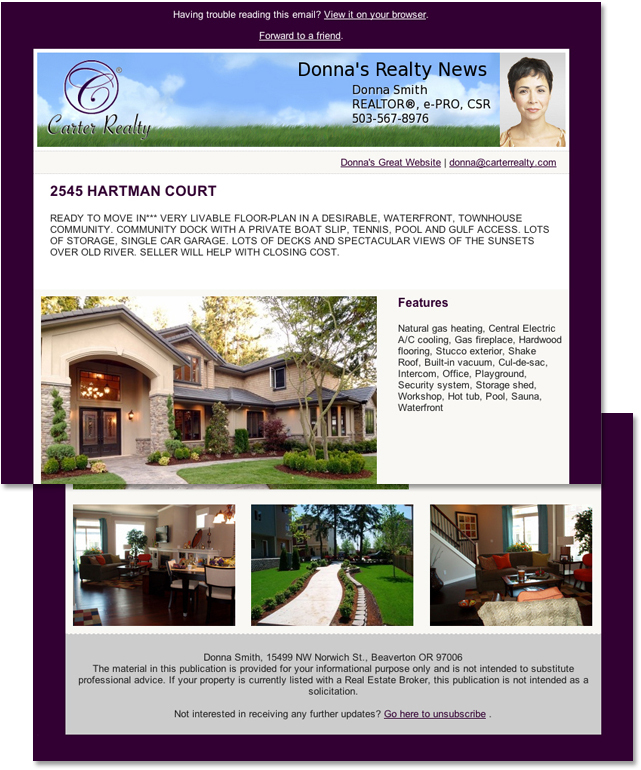 Easy-to-edit property flyer templates and newsletter templates in a variety of attractive color schemes. Add your photo and company logo and then select from backgrounds to create custom branded mastheads for your email campaigns. 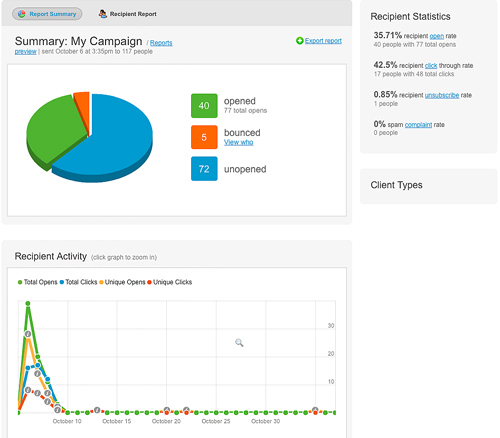 Keep track of who opens an email, clicks on a link, and how many times they open or click, with real-time tracking. 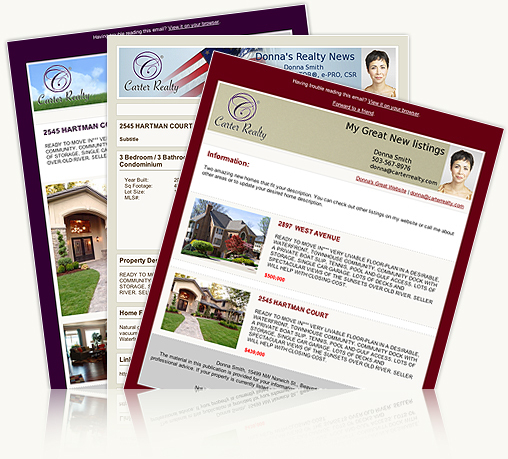 Our real estate flyers can pull information from Top Producer so you can create beautiful real estate flyers in seconds. 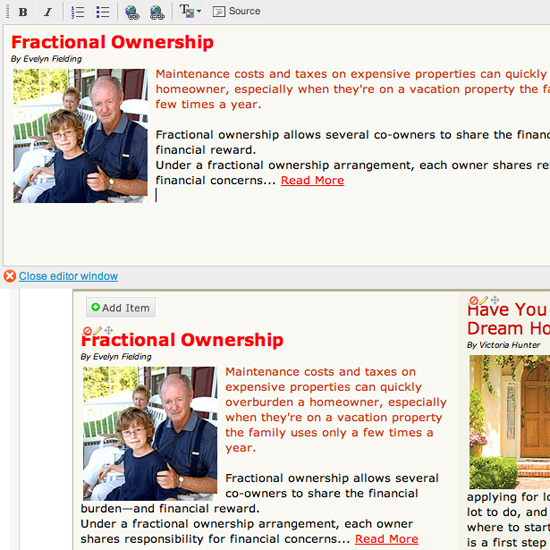 It's easy to create stunning email campaigns by using our WYSIWYG (What-You-See-Is-What-You-Get) editor. 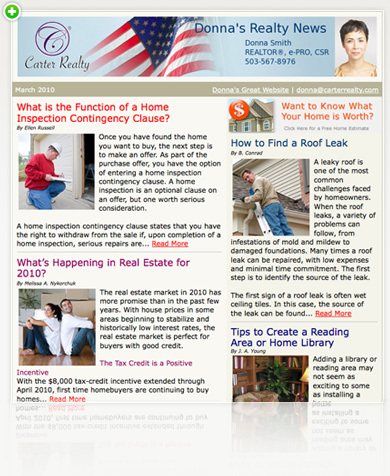 Each month your pre-built newsletter template is updated with real estate or homeowner related articles. 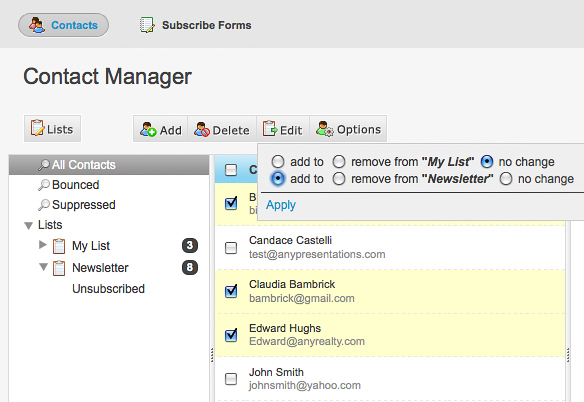 Auto column matching makes importing contacts easy. Automatically handle bounces, unsubscribes, or complaints. Take advantage of a library of video tutorials as well as a written, step-by-step manual to help you learn to use the features on your account. 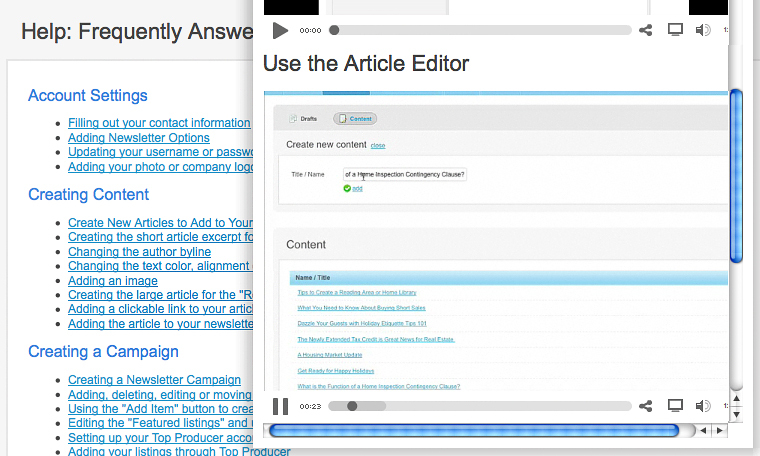 You can use the custom editor to create content and even include photos and links. And you may delete prewritten articles from your template. 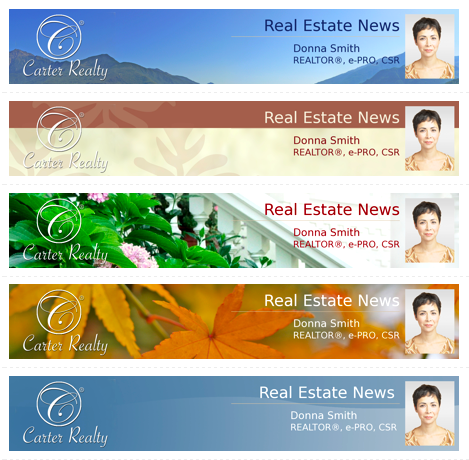 Showcase up to four of your current featured properties and provide a link to the MLS or your website. Add a link to an the CMA on your website. 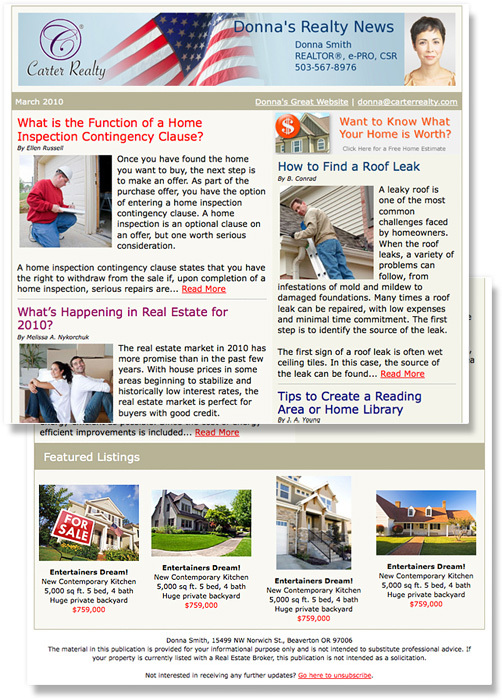 Copyright © 2010 MangeAgent.com. All rights reserved.